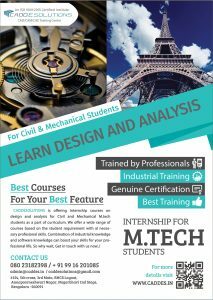 CADDESOLUTIONS is offering MTech internshipscourses on design and analysis for Civil and Mechanical students as a part of curriculum. We offer a wide range of courses based on the student requirement with al necessary professional skills. 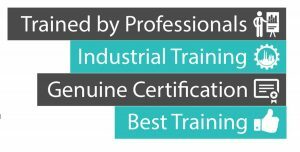 Combination of industrial knowledge and software knowledge can boost your skills for your professional life. So why wait, Get in touch with us now..!